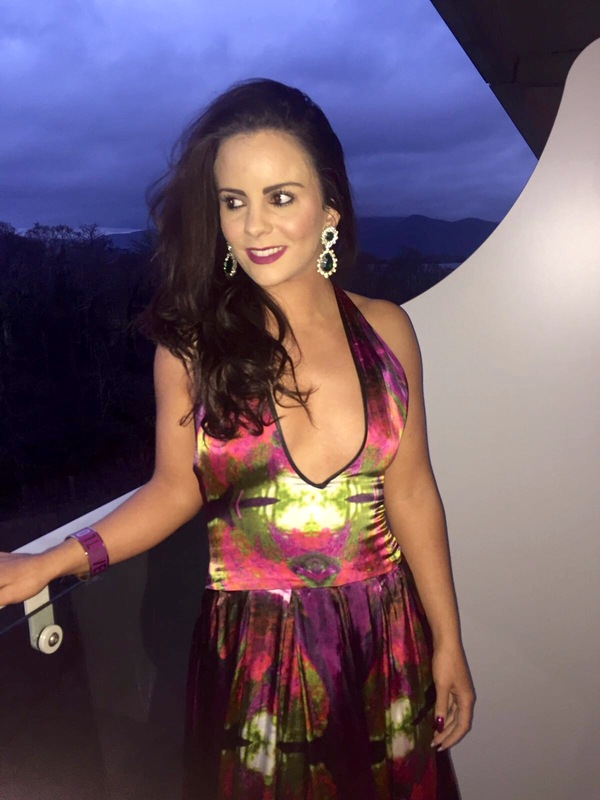 So I am finally getting around to writing about my amazing experience at Kerry Fashion Week last week! When I first heard that I was not only nominated but shortlisted for the “One to Watch” designer category I was blown away, particularly when I looked at some of the other names that were involved in my category and the awards themselves. It really was set to be an amazing gathering of Irelands Fashion Elite and I was super excited to be a part of that. My Boyfriend and I set off the night before the awards as we wanted to break the 8 hour car journey by staying in Dublin for the night and then headed off early the next day to arrive in Killarney just on time to fit my beautiful models. Carolyn Donnelly – Womenswear designer and creative director for Dunnes Stores. It was such an honour to meet such power figures in the fashion industry and hear their amazing feedback on my work. It was also a pleasure to meet guest designers for the evening – Helen Steele, who is a print designer like myself and her pieces were spectacular and Paul Galvin who not only is a GAA legend but has turned his hand to designing menswear and has a collection available in Dunnes. The event took place at the Europe Hotel and Spa which is one of the most spectacular places I have been to in Ireland, overlooking the lakes of Killarney and from the second we arrived I knew the entire evening would be of a very high standard. I decided to wear one of my own designs for the evening – shown below – and i absolutely loved this dress. It was perfect for a red carpet event and I was delighted with receiving so many compliments. It is always amazing when people ask you where you got your dress and you can say you designed it yourself. The evening began with a drinks reception and red carpet where Xpose were filming interviews with all of the finalists. This was such a lovely opportunity to meet the other designers and finalists before we made our way into the restaurant to have a beautiful three course dinner. When dinner had finished we made our way into the function room where the fashion show began. I showcased four of my designs and also had the chance to appear on the catwalk myself at the end with my final piece. Once the show ended the awards began and whilst I unfortunately didn’t win my category, I didn’t mind at all as the standard was so high and I was delighted to have been selected in the top 5 in the first place. I have been to so many events through my blogging and designing so far but I have to say that this was definitely one of the most prestigious to date! My Boyfriend and I loved every second of it and I would like to say a huge congrats and thank you to Orla Diffily and Paul Ruane for organising a stunning event and for having me be a part of it! I thoroughly enjoyed every minute of it! Keep your eyes peeled for Xpose this evening on TV3 for coverage of the event!